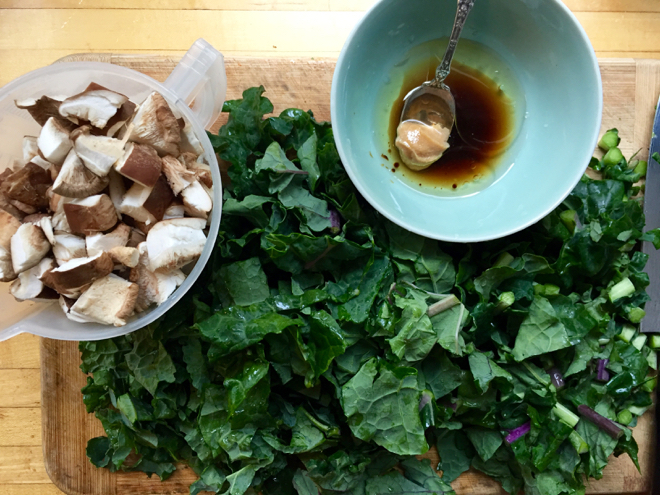 Place the kale and mushrooms in a large bowl. 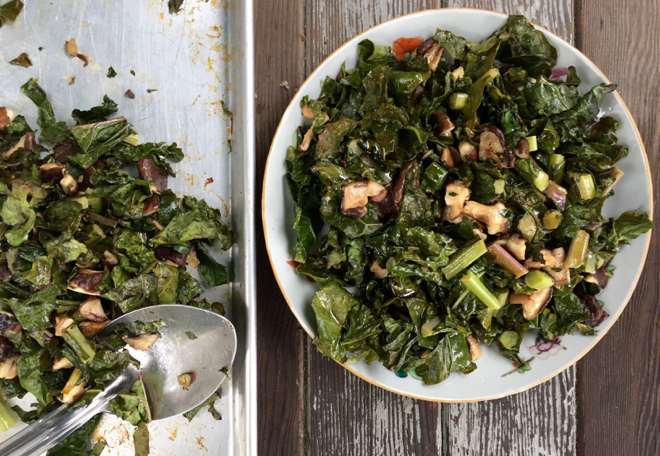 Mix the remaining ingredients in a small bowl and drizzle over vegetables. Toss very well and then spread onto a sheet pan, using a plastic scraper to get all the dressing onto the pan. Roast, tossing several times, until tender and just browning, about 25 minutes. Serve hot or warm.